The ParaLens Advance is a fluorescence microscopy attachment that turns any light microscope into a powerful diagnostic tool for use in a range of clinical and research applications. With its patent-pending design, the ParaLens Advance is easier to use and less expensive than a conventional fluorescent microscope, making it an excellent choice for users trying to make the most of their equipment budget, or anyone else desiring simplicity and convenience. 1. Malaria – LED fluorescence staining is a fast and easy way to test for malaria caused by plasmodium parasites. 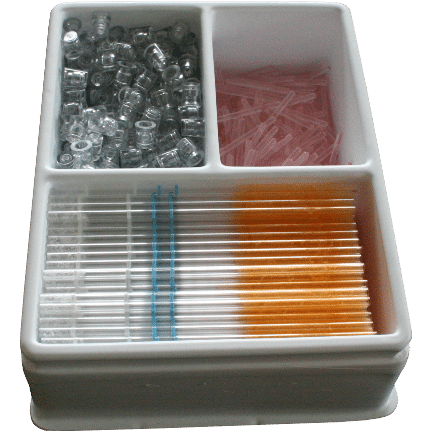 The Malaria Test Kit with pre-stained sample tubes is ideally suited to malaria diagnosis. 2. 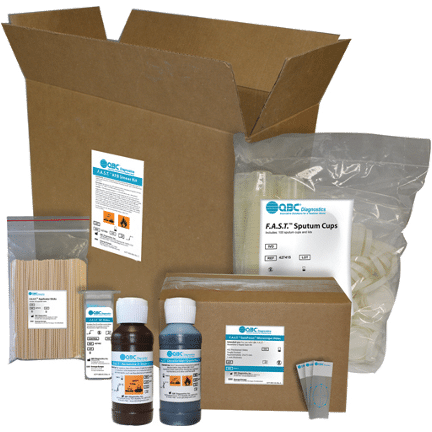 Acid-Fast Bacteria (AFB) – Test for acid-fast bacteria such as Tuberculosis using a QBC F.A.S.T. AFB Kit. Recommended by the World Health Organization (WHO), fluorescence microscopy is quickly becoming the method of choice for detecting acid-fast bacteria. The F.A.S.T. AFB Kit follows the recommended WHO guidelines and quickly provides accurate identifications of AFB like TB from a sputum sample in just three minutes. 3. Other Diseases – The ParaLens Advance can also be used to screen for a range of other diseases, including filariasis, blastocystis, babesiosis, and Lyme Disease. For more information, contact the Drucker Diagnostics sales team directly. The ParaLens Advance attaches to any compound light microscope as an objective. A number of adapters are available for those few microscopes that do not use RMS threading. A detachable filter fits in the body of the ParaLens Advance and is securely held in place with powerful magnets. An LED light source connects to the filter arm with a simple turn of a screw. To conduct fluorescence microscopy screening, a sample is first treated with a fluorescent dye. When the LED light is directed onto the stained sample, the sample becomes excited and emits light of a new wavelength. 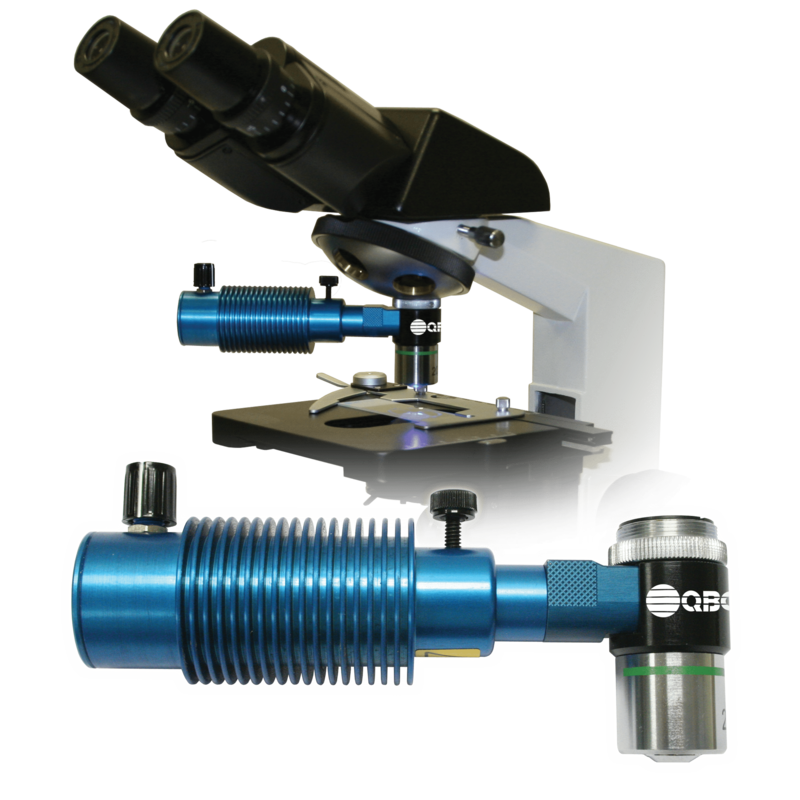 The ParaLens Advance brings fluorescence microscopy to any standard microscope. Utilizing WHO-recommended LED illumination, the ParaLens Advance is compatible with all QBC fluorescence microscopy kits, including malaria testing and TB testing. A tube-based testing kit for malaria diagnosis. Compatible with venous or capillary fill, easy to prepare, and can be used with an adapter to fit almost any microscope setup. Detect AFB presence in sputum samples in as little as three minutes with Drucker Diagnostics’ complete F.A.S.T. AFB Kits, designed to reveal acid-fast bacteria such as tuberculosis. Multiple kit configurations are available to suit the requirements of any laboratory.